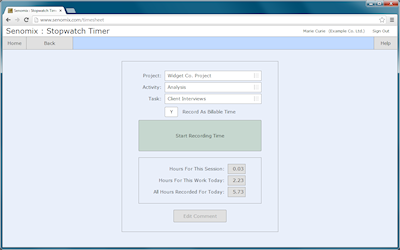 After setting your task and clicking the 'start' button, the Senomix Timesheets stopwatch can be left to quietly record time as you work. Ensuring your hours are accurately tracked as time is spent, the Senomix stopwatch will ensure your calculations for billing and project time spent reflect the actual activities of your office, allowing you to spot areas of potential cost savings or budget overruns before they become an issue. 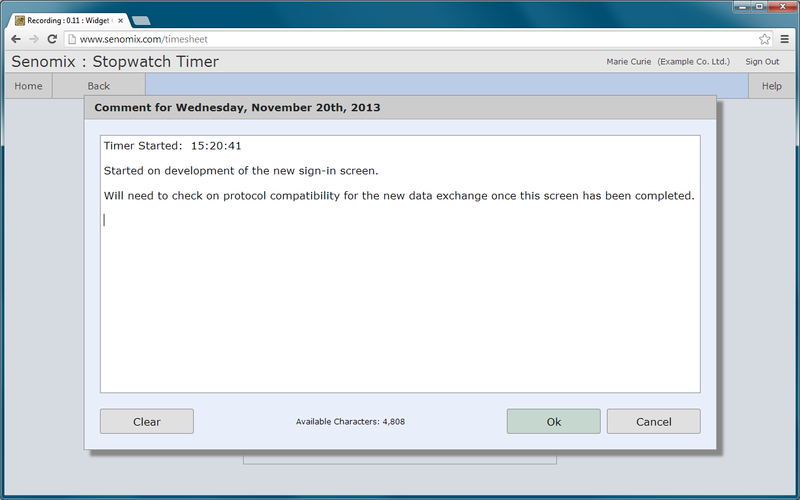 Minimized to your computer's Windows taskbar or Mac OS X dock, the Senomix stopwatch can be left to automatically track time for you, or can be retrieved at any time to switch your effort to a different workplace task. 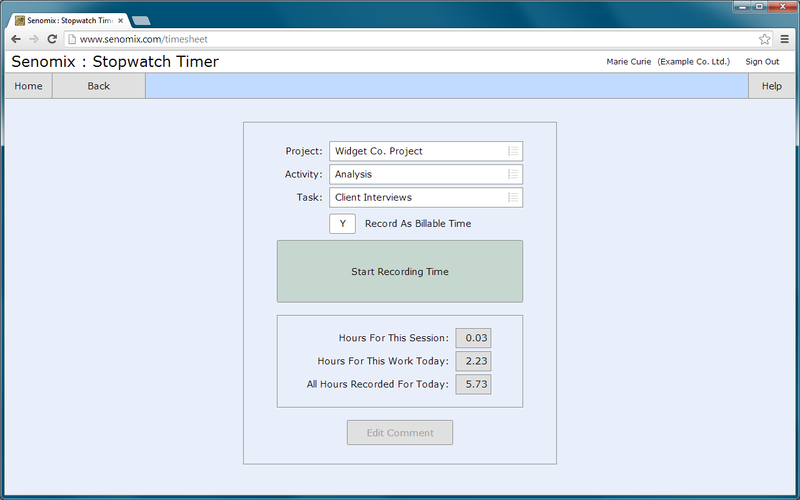 Allowing you to designate billable and non-billable hours, the stopwatch can also be used to edit additional timesheet comments directly, allowing you to record items of concern for your effort hours, or copy in work notes of interest for later reference while time continues to be automatically tracked for you in the background. With all effort automatically recorded to your office's central server, saved hours and comments can also be examined at any time through your personal weekly timesheet, or be printed for review and approval using the personal reports provided with every timesheet list. Allowing you to see exactly how your office's work week was spent while keeping managers up-to-date on the activities of their staff, Senomix Timesheets provides everyone in your office with a simple tracking time solution.